My interest in video games waned with the Playstation 2, so forgive me for not being au fait with Warcraft; the video games and tie-in novels that Duncan Jones’ $160 million fantasy epic is based upon. 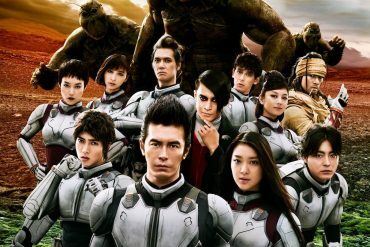 The franchise may have began in 1994, but it only seemed to take hold with geeks this century, thanks to the popularity of the World of Warcraft MMPORPG, so it’s been rewarded with a live-action summer movie. Clearly indebted to the box-office triumphs of Lord of the Rings and The Hobbit, is Warcraft the next big thing for those craving castles, monsters, and magic at the cinema? 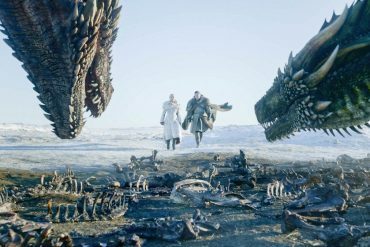 Like all such works of fantasy fictiuon, there’s a lot of mumbo-jumbo and weird names and alien cultures to digest during Warcraft—and even post-LOTR, with Game of Thrones on TV, it can be a little disconcerting and confusing in the early stages. The first act of Warcraft is tough for non-fans who don’t know, or already love, this universe and its people, but the script manages to make the sense of discovery feel rewarding instead of hard-going. Essentially, a civilisation of bellicose Orcs flee their dying homeworld through a green portal (powered by a life-force known as ‘The Fel’, siphoned from unwilling prisoners), and duly arrive in the land of Azeroth. Once there, a vanguard of Orcs prepare to transport the rest of their Horde through another portal, but meet resistance from Azeroth’s native population—led by King Llane Wrynn (Dominic Cooper), with help from military commander Sir Anduin Lothar (Travis Fimmel) and the realm’s reclusive ‘Guardian’ sorcerer Medivh (Ben Foster). 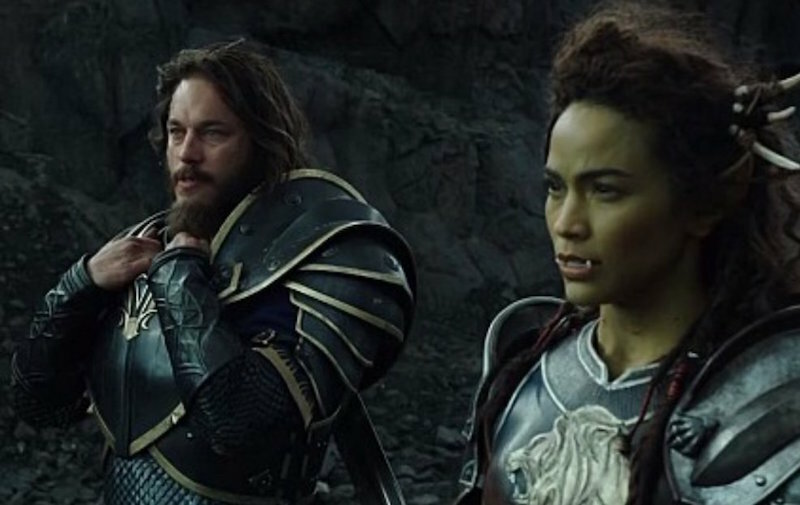 But can the likelihood of all-out war be prevented, thanks to a chieftain Orc called Durotan (Toby Kebbell), who has misgivings about his kind’s leader, the mystical Gul’dan (Daniel Wu), and a half-Orc called Garona (Paula Patton) who’s captured by mankind? Despite being based on an existing property, Warcraft at least feels like it’s trying to offer something a bit different. It’s a more colourful and vibrant universe than Middle-earth and Westeros, and plays like a mix of Dungeons & Dragons and Avatar (especially because of the performance capture effects used to create the Hulk-sized Orcs). The story is deceptively simple, really, once you wrap your head around the funny names and start to get a handle on each character and their core relationships. 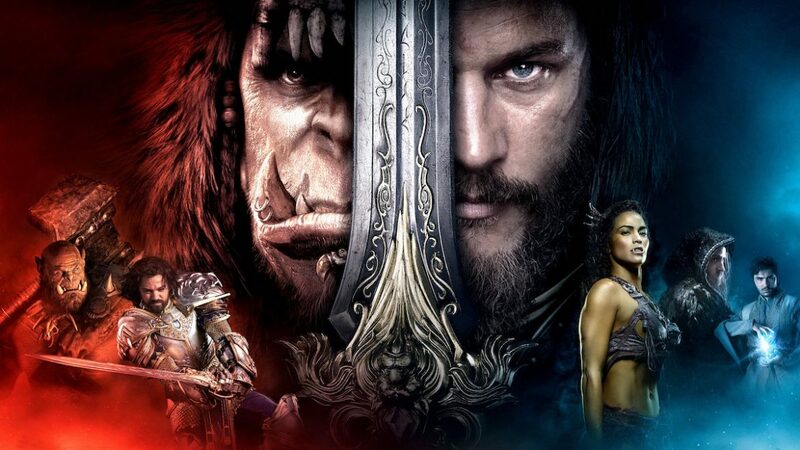 For some, Warcraft will be a frustrating spectacle they can’t connect with emotionally or intellectually, but I found myself getting slowly more invested in the main dilemmas and dramas the script churns up. It’s essentially a tale of invasion, with warmongering beasts descending on a peaceful society, and the attempts to prevent violence and live in harmony with migrants. This is mostly the desire of the human characters, not the beastly ‘savages’, it’s true, but there’s still a compelling arc for noble leader Durotan and his belief war isn’t necessary because history will just repeat itself and Orc kind will end up depleting another beautiful world of its natural resources. 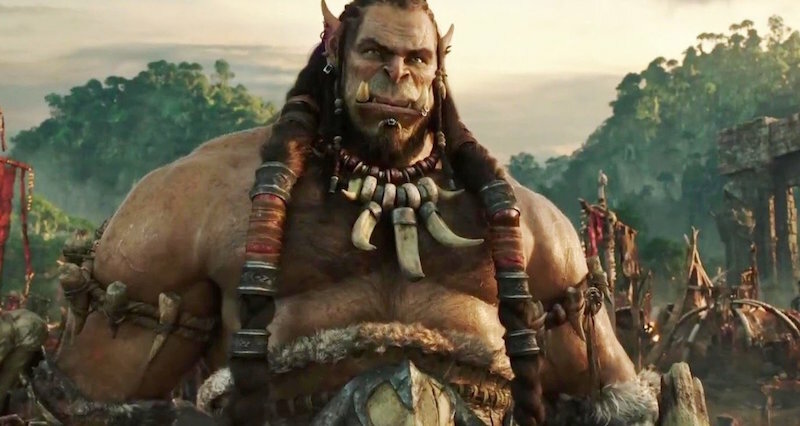 There are a few half-familiar actors appearing in Warcraft, but most of them are are unrecognisable behind CGI avatars, green makeup, or beards. I didn’t even realise Paul Patton was in the film until consulting IMDb, and the biggest star is Glenn Close in a brief cameo. This is actually to its great benefit, because I found myself engaging more with Fimmel, Foster and Ben Schnetzer (as a magical apprentice called Khadgar) as the characters they’re playing without any preconceptions or celebrity baggage. Being unaware of the actors and even the story being told also meant Warcraft managed to deliver a number of surprising twists in the final act, which I didn’t anticipate—although it did feel a little overconfident to blatantly set-up a sequel. 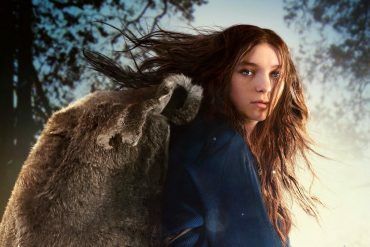 And considering the film’s mostly negative reviews and underperformance at the box-office, Warcraft II probably won’t happen now, meaning this is another D.O.A franchise like The Golden Compass. It’s a shame, but not entirely surprising. Warcraft doesn’t feel ready to have made this leap into the mainstream, who are still mostly ignorant of it beyond mild title recognition, and I don’t think the childish mythology is much beyond a Saturday morning cartoon. Plus, the tone of the film is a troubling issue: it’s lush, colourful and the Orcs look very expensive, but the storytelling is cliched and there’s not enough tongue-in-cheek humour to keep the audience onside. 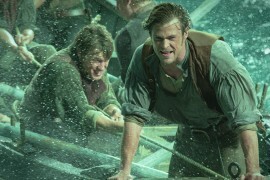 Indeed, there are jokes that fall completely flat because, it seemed to me, the audience I watched it with couldn’t decide if they should be treating Warcraft with the seriousness the actors give it, or just having fun with a frivolous fantasy epic about big green men fighting medieval soldiers. 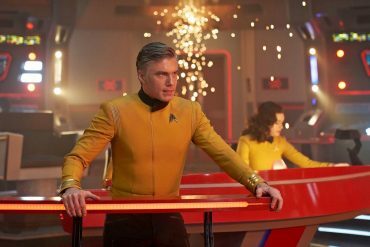 Jones is unfortunately to blame here, but the director gains more confidence as the film progresses—with the first half being noticeably less fun than the second, and the 3D and fight choreography becomes a lot more engrossing toward the end. It was perhaps unwise for Jones to make the huge leap from Moon and Source Code to a big summer extravaganza like this, so early in his Hollywood career. Warcraft isn’t a career-killing bomb for him, but you can tell Jones wasn’t able to wrestle this concept into a movie that appeals to fans and non-fans alike. Instead, it ends up being a visually entertaining but oddly hollow story filled with solid moments, but one that grows in confidence and manages to end with some unexpected flourishes. I don’t regret paying to see Warcraft, but it didn’t stick with me afterwards, didn’t make me want to play WoW online, and I’m not excited for the now unlikely sequel. This is perhaps when Warcraft aficionados insist this film only provided the groundwork to a more imaginative part of the saga to come, and that’s fine. I just wish the talented Duncan Jones hadn’t spent years bringing a movie to life that pointlessly preaches to the converted and won’t create many new fans. writers: Charles Leavitt & Duncan Jones (story by Chris Metzen, based on 'Warcraft' by Blizzard Entertainment). 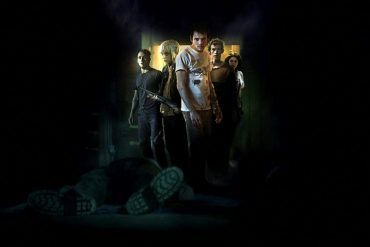 starring: Travis Fimmel, Paula Patton, Ben Foster, Dominic Cooper, Toby Kebbell, Ben Schnetzer, Robert Kazinsky & Daniel Wu.